Internet company Yahoo! 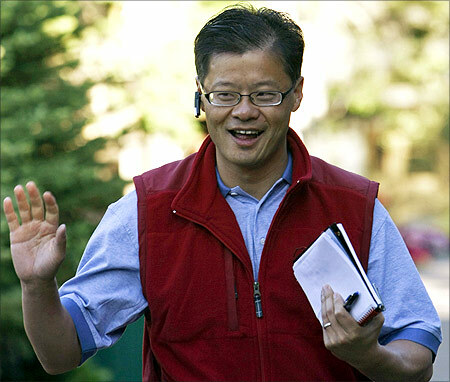 's co-founder Jerry Yang has quit the company he founded 17 years ago. Yahoo! said besides quitting the board of its directors, Yang has resigned from all other positions in the company, effective from January 18, as well as from the Boards of Yahoo! 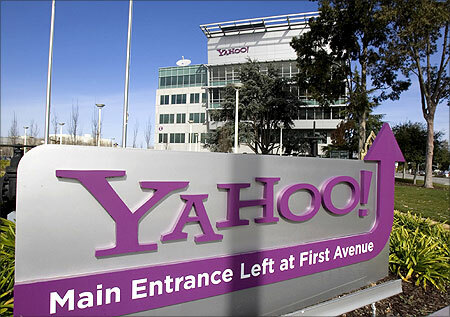 Japan Corporation and Alibaba Group Holding Ltd, firms in which Yahoo! has stakes. Yang's abrupt departure comes just two weeks after the struggling internet firm appointed former eBay executive Scott Thompson as Chief Executive Officer. Thompson is the fourth CEO in less than five years who has been entrusted with the daunting task of turning around the fortunes of Yahoo! which has been stifled by competitors. 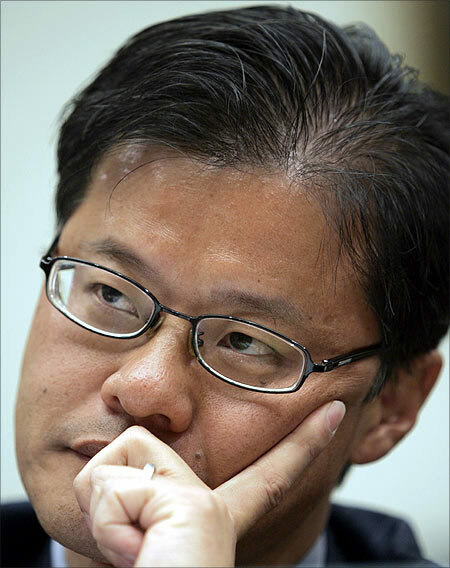 Image: Jerry Yang listens to a question during a hearing before the U.S. House Foreign Affairs Committee. Yang now puts the put his support behind Thompson, expressing confidence in the ability of the new CEO and of the entire Yahoo! leadership team to guide the company "into an exciting and successful future." After a tumultuous innings, Yang leaves the company to 'pursue other interests'. In a letter to Yahoo! Board Chairman Roy Bostock, Yang, 43, said, "My time at Yahoo!, from its founding to the present, has encompassed some of the most exciting and rewarding experiences of my life. However, the time has come for me to pursue other interests outside of Yahoo! ... the company I co-founded nearly 17 years ago." Yang resigns amidst negotiations on whether the company should sell off its Asian interests and focus on its media assets, says The New York Times. Image: Jerry Yang waves at photographers. Yang, whose position in the company was 'Chief Yahoo! ', had co-founded Yahoo! in 1995 with his Stanford University classmate David Filo and had served as a member of the Board of Directors since March 1995 and as Chief Executive Officer from June 2007 to January 2009. The company went public in 1996. Yang had been CEO when Yahoo! had rejected a $47.5 billion acquisition offer from Microsoft, much to the anger of investors. Though he was popular among employees, investors were irked with him after Yang turned down the takeover bid. He was then replaced by Carol Bartz as CEO, who was fired in September 2011. Image: Jerry Yang speaks at a keynote address at the Consumer Electronics Show (CES) in Las Vegas. As of November, Yang owned a 3.8 per cent stake in Yahoo!. Yang's departure comes as Yahoo! struggles with declining revenues and a growing competition from Google and Facebook, which have been cornering a large share of the online advertising revenue pie. Yahoo! 's shareholders too have not been very happy with its performance. Describing Yang as a "visionary and pioneer," Bostock said he has always focused on the best interests of Yahoo! 's stakeholders, including shareholders, employees and more than 700 million users. Image: Jerry Yang (L) and David Filo celebrate the launch of the new Yahoo! Mail. "While I and the entire Board respect his decision, we will miss his remarkable perspective, vision and wise counsel. On behalf of the Board, we thank Jerry and wish him all the very best in his future endeavours." He added that the company shares Yang's enthusiasm for its prospects and under Thompson's leadership to deliver innovative products and an engaging customer experience, the company's "future is bright." Image: Yahoo founder Jerry Yang attends the "Chinese Americans in the World" Leadership Forum at Tsinghua University in Beijing. 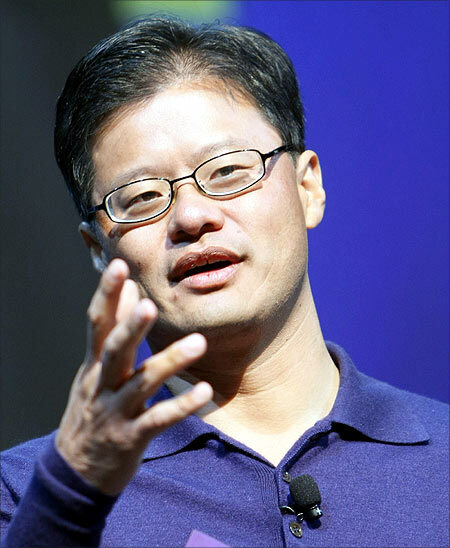 Born in Taipei on November 6, 1968, Jerry Yang moved to San Jose, California at the age of ten with his mother and younger brother. His father died when Yang was just two years old. Yang's tryst with the Internet began at a young age at the Stanford university when he and David Filo created an Internet website called "Jerry and Dave's Guide to the World Wide Web" consisting of a directory of other websites, in April 1994. Image: A Yahoo! signs infront of its headquarters in Sunnyvale, California. It was renamed "Yahoo!". Soon it became very popular so the duo decided to capitalize on its business potential. Yahoo! started off as a web portal with a web directory providing an extensive range of products and services for online activities. Yang was responsible for making Yahoo one of the world's biggest internet companies and a recognized brand. Image: Jerry Yang speaks at CES. However, the dream run did not last long. As CEO from June 2007 to January 2009, Yang faced severe criticism from investors, including Carl Icahn, for its declining revenues and stock price. Yahoo! also saw the exit of many executives. The biggest blow came when Yahoo! 's stock price crashed after Yang rejected a takeover big from Microsoft. 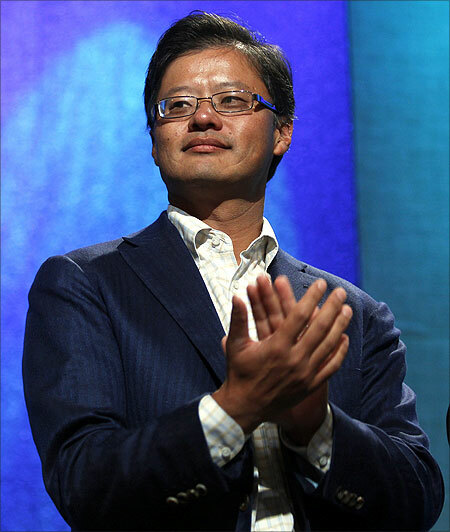 Image: Jerry Yang applauds during the announcement of a commitment pledge at the Clinton Global Initiative in New York. 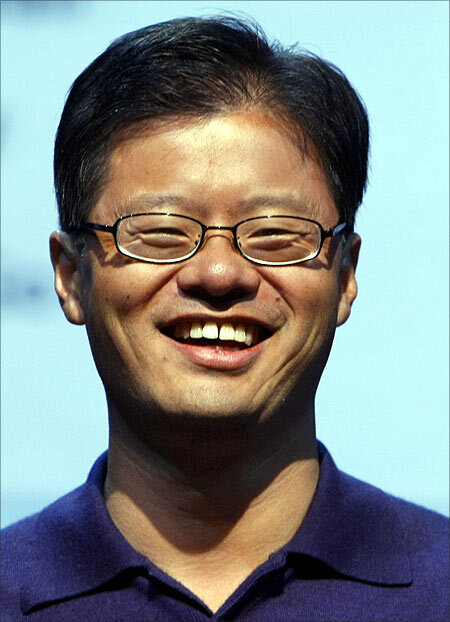 Jerry Yang then decided to step down as CEO. On January 13, 2009, Yahoo! named Silicon Valley veteran Carol Bartz as its new chief executive. Yang remained as "Chief Yahoo!" and remained on Yahoo! 's board of directors. Yang is currently on the Board of Directors of the Asian Pacific Fund, and Cisco, and is also on the Stanford University Board of Trustees. Image: Jerry Yang speaks at a keynote address at the Consumer Electronics Show. Yang's exit is a turning point for the stumbling internet company. Even as Yang embarks on a new journey, he will be remembered as one of the most notable Internet innovators. On the other hand, Yahoo! has a long road ahead to fight competitors, regain market value and bag the confidence of investors. It is indeed an uphill task for Scott Thompson as chief executive officer to get Yahoo! on the right track. 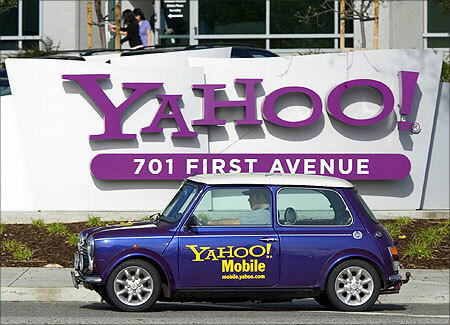 Image: A man drives a Mini Cooper with a Yahoo! logo in front of Yahoo! headquarters in Sunnyvale, California.